Coworking Spaces in Wellington are a common umbrella for all the creative nerds who are efficient enough to kick-off to their startup idea or are looking for a shared office to work. Apart from a comfortable working environment which is useful for a wider productivity, Coworking spaces Wellington open doors for you to adore a friendly work environment as well as witness relishing extra-curricular activities. No matter if you are a budding entrepreneur who is looking for a steady place to begin with his/her business idea, a co-worker who would like to assist your team to a new place with new energy, a keen freelancer who likes to indulge into fresh ideas time and again or any other folk who wishes to work not at his home but at a proper environment, Wellington’s Coworking Spaces have something in store for each one of you. 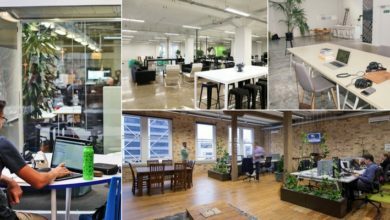 Let’s browse through the best coworking spaces in Wellington. Being subject to a remarkable architectural design, Digital Nomad is a widely operating Coworking space in Wellington which is a good pick for both individuals as well as team members. Digital Nomad is a high-end shared workspace which enjoys the advantage of being placed in the heart of the Wellington city. Possessing an availability of 24 hour access for the members connected to it on the long-term basis, this coworking Wellington provides numerous options on daily, weekly as well as monthly basis for the ones actually inspired to work. Equipped with nearly all the necessities like scanners, printers etc., a well-planned sitting arrangement in the name of ergonomic chairs as well as standing desks are available for the workforce to choose from. An outdoor terrace adds on to the fancy design of this building. The social community of this place also includes a lounge for people to enjoy a soothing break in between and conducts events plus workshops from time to time. Location: Level 2, 14 Lombard Street, Wellington, New Zealand. 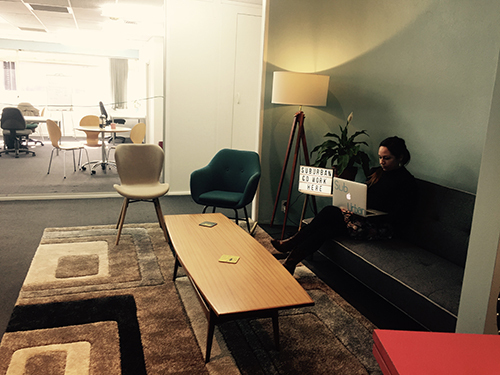 Pricing: NZD 40.25 for single day occupancy of a hot desk or open plan seating. A dedicated desk would cost you NZD 189 accessible for the reception hours only applicable for a week whereas, 24-hour occupancy would cost you NZD 2466.75 for a time period of 3 months. Wellington based coworking space BizDojo is more of a like-minded place where people as well as their businesses work, grow and inspire each other. Apart from the huge availability of desks, spaces & people, you tend to come across talented communities which are focused and determined to follow their passions. A great community for you to learn, encounter new opportunities, extend as well as receive support and also spectate different events, Bizdojo coworking in Wellington exemplary for all the folks up for a healthy and integrated dose of working. Location: 115, Tory Street, Te Aro, Wellington, NZ. Pricing: The pricing is divided into 4 categories namely – casual, flexi, permanent, and PODS. These begin from $199, $399, $699, $1300 per month respectively. The resource availability depends from one category to the other. In the casual and flexi category you will be provided with hot desks & meeting room which will be accessible for a fixed time period whereas in the rest, you get permanent desks and additional advantages like ethernet connection, storage & signage that is your logo will be displayed on the wall as well. 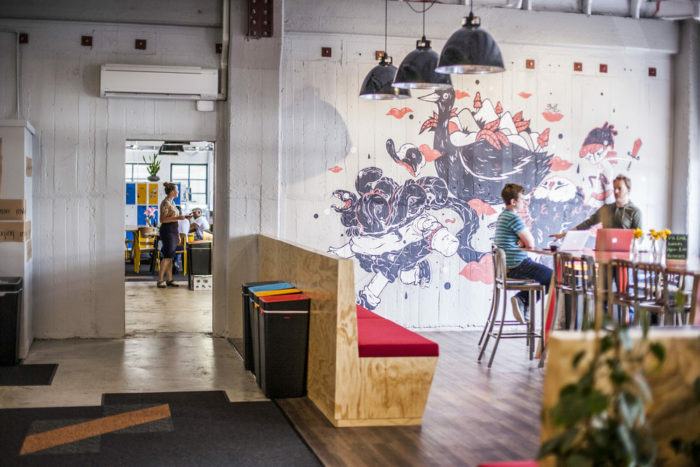 A permanent shared office located in Wellington, In Good Company, is an eccentric coworking space which offers a good working deal for office. Some coworkers here include established artists, artists in making as well as the ones who have a thing for art. They have a highly-designed gallery section too. Frequent exhibitions from potent artists is what you can have a glance at. Time Cards are available for the workers who wish to grab a desk be it a full-time worker or a freelancer wishing for a hot desk Wellington. One of the most affordable shared coworking space of Wellington, In Good Company aims to provide a soothing working environment which kicks off with the utmost efficiency and style in New Zealand. Pricing: In Good Company induces the use of time cards which can be used on prepay time basis by both individuals as well as group members. $25 per day is the price for a hot desk whereas for a week, you’ll have to pay $100. Monthly charges amount to $400. If you do not wish to opt any of these, you can go for the hourly use of this coworking space in Wellington which begins from $5. There is a special discount for students. An open plan office space which lets you to work in a focused atmosphere and provides you with other amenities as well, SubUrban Coworking Wellington is a community of aspiring entrepreneurs which lets you expand your operations, widen your areas and thus get connected with each other. The Ngaio Room, as well as the Clocktower Room, are the two meeting rooms at SubUrban Coworking which are quintessential to conduct private meetings, seminars and much more. The meeting rooms are more of a treat for the nature-lovers as they get a complete view of Johnsonville and the hills it is surrounded by. This Coworking Space in Wellington NZ allows you to share stuff, work like a pro and add value to your knowledge. Location: Level 1, 2 Johnsonville Road, Johnsonville, Wellington, New Zealand. Pricing: Similar to other coworking spaces in Wellington, they have 3 different plans for three stages namely Starter, Emerging and Growth. The rates of starter range in between NZD $85 to NZD $130 per month. The second category i.e. emerging can be availed for a price of NZD 240 per month at SubUrban Coworking Wellington. The growth one is for NZD $480. If you do not wish to go for any of these passes, you can also opt for this coworking space on per day basis which ranges from NZD $30 – NZD$40. Wellington’s 171 Featherston Street is home to prime office towers for shared office space in Wellington and Regus Wellington is one particular centre for startup businesses which has high-end facilities planted with it so that people enjoy every bit of their work. 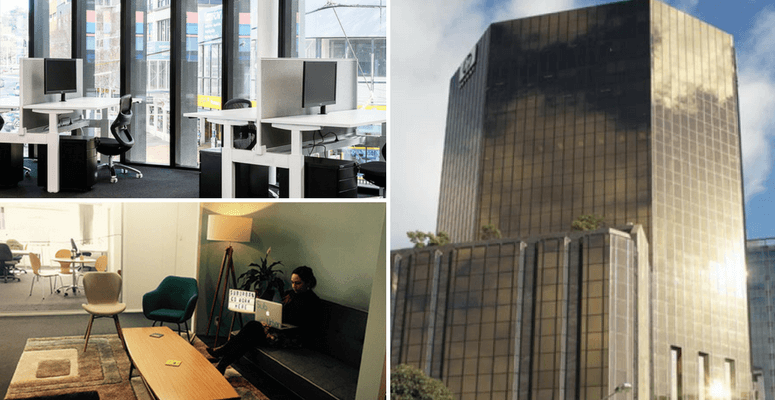 Located in the centre of the financial services and commercial zone with banks, financial institutions, brokers and other monetary houses located around, Regus coworking Wellington enjoys a huge advantage. 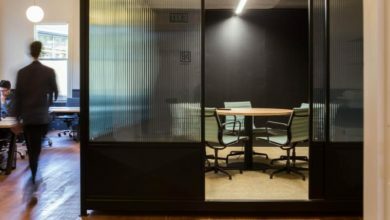 The location and uniquely built building of Regus in Wellington is something to definitely watch out for coworking. Availability on-site restaurant, bars, cafes and the sparkling view of Wellington Waterfront, this is definitely an ideal workplace for the ones who enjoy the view while working. The location also enjoys the advantage of proper vehicle access in the form of cars access and propinquity to other moving ferries, trains as well as the buses. However, this coworking space in Wellington might be a bit expensive but then it has its own advantages. Regus is one of the biggest competitors of WeWork globally. 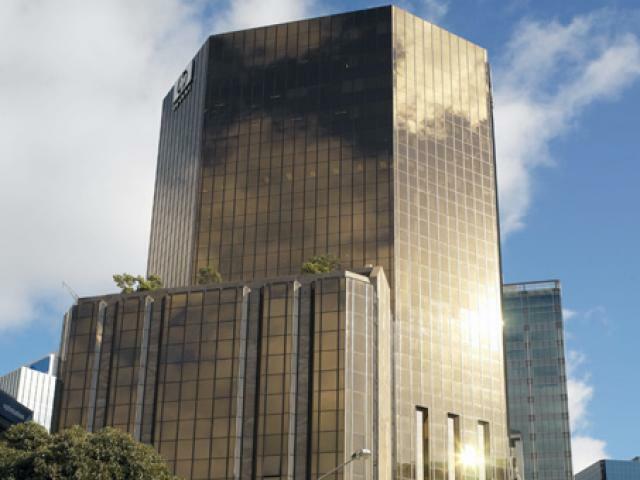 Location: Level 15, 171 Featherston Street, Lambton, Wellington, New Zealand. WeWork is one such Coworking space which has resulted in the creation of a revolution for all the startup businesses for the would-be entrepreneurs. Auckland too has a lot of coworking spaces in terms of shared offices which further have a lot of differentiation within like casual meet-up points and professional spots like conference rooms for discussions and seminars. As per the analysis, coworking spaces in Auckland have doubled in demand further leading to a large-scale establishment of coworking spaces in Wellington. Coworking is a concept growing on a huge scale in terms of demand and popularity with many businesses opting for a coworking space at Wellington NZ.